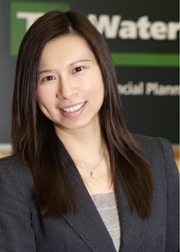 With over 13 years of experience in the financial services industry, I have been actively engaged in fostering strong client relationships and helping clients achieve their personal financial goals. My commitment to continuous education, as well as completion of required qualifications, has earned me the Personal Financial Planner (PFP) designation, the CERTIFIED FINANCIAL PLANNER™ certification, and the Financial Management Advisor (FMA) designation conferred by the Institute of Canadian Bankers, Financial Planning Standards Council and CSI respectively. I look forward to exploring investment strategies and solutions with you as we work together towards your unique financial goals.